PDF documents often can be created through the process of scanning a document into electronic format. What a scanned document represents is really just a “picture” of the words contained within that document. In order to convert a scanned document into an editable format, OCR software is required to analyze the “image” of each character and match it to an electronic character-based file. Because of this, it is a much more difficult to ensure that the character that is “recognized” by the OCR software is the character on the scanned document. The quality of OCR output is affected by matters such as poor image quality of the scanned document, mixture of fonts used in the scanned documents, and italicized and underlined fonts, which may blur the quality and shape of individual characters. A-PDF’s OCR solutions focus only on the conversion of already created scanned PDF documents. A-PDF’s OCR has a fast OCR engine, 68% faster than other OCR software Over 10 Languages Supported. Let you Edit Scanned PDF Documents like editing a text file! 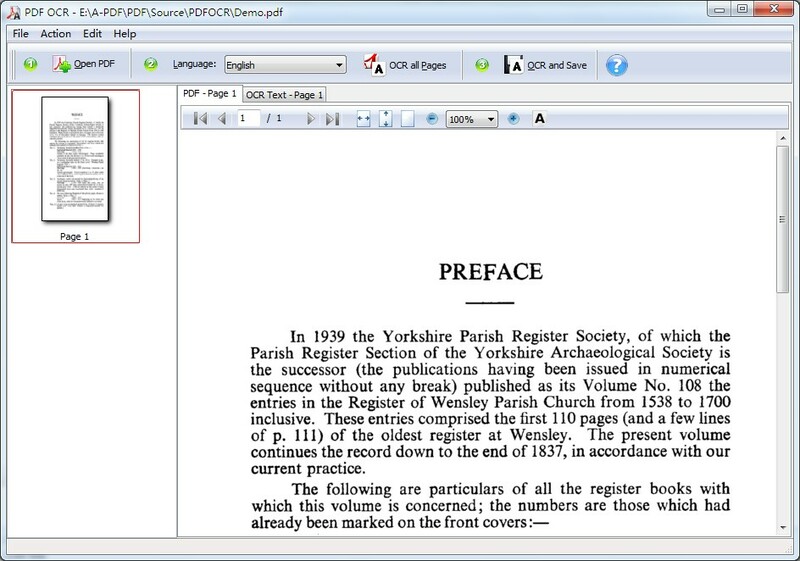 Editable - Edit Scanned PDF Documents like editing a text file. Easily - OCR PDF To Text Just In Only 1 Clicks. OCR Image PDF to searchable PDF. Fast - PDF OCR has a fast OCR engine, 68% faster than other OCR software. Scan and OCR - Scan your paper and OCR. OCR PDF To Text Just In Only 1 Clicks. 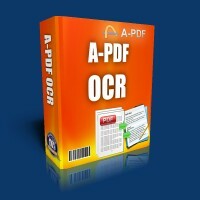 A-PDF OCR is a standalone program costing only $27. It does NOT require Adobe Acrobat Pro, which costs hundreds of dollars. A-PDF Label - Mail merge PDF.